Some folks are finding the Family Secrets missions tricky to get their heads around so we thought we'd write a simple walkthrough. 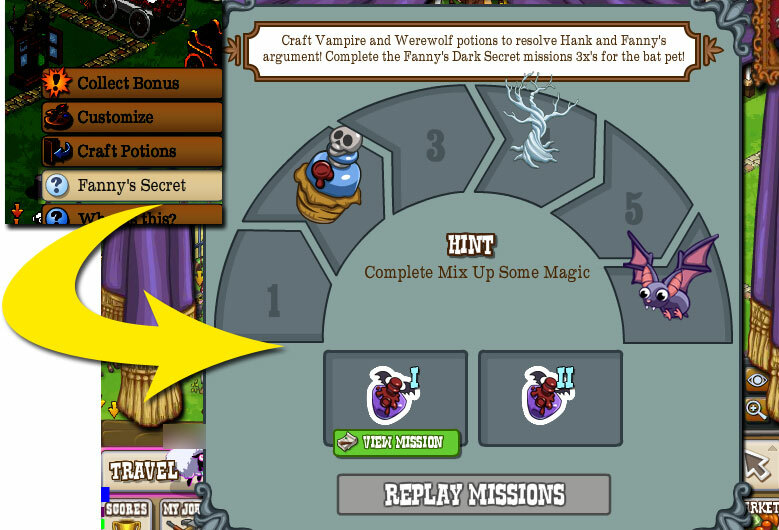 2) Complete the mission Fanny Has a Secret. 3) Complete the Hutch. 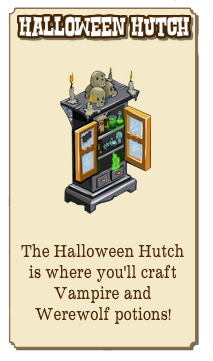 Potions can ONLY be crafted once you have COMPLETED the Hutch. 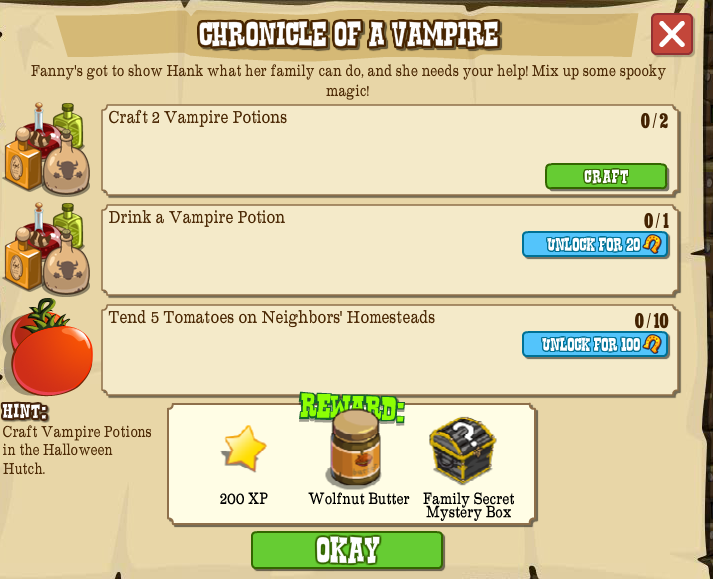 You can only craft the hybrid potion when you complete step NINE. 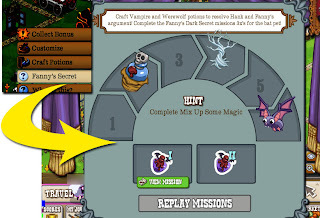 4) Click the Hutch and select "Fanny's Secret" to get the Mission Window. 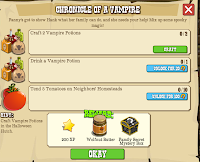 5) Complete Chronicle of a Vampire and Hank's Hankerin' To Howl. 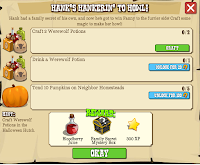 6) Bloodberry Trees and Wolfnut Trees are one of the things that CAN drop from the Family Secrets crates that are the mission rewards for Chronicle of a Vampire and Hank's Hankerin' To Howl. 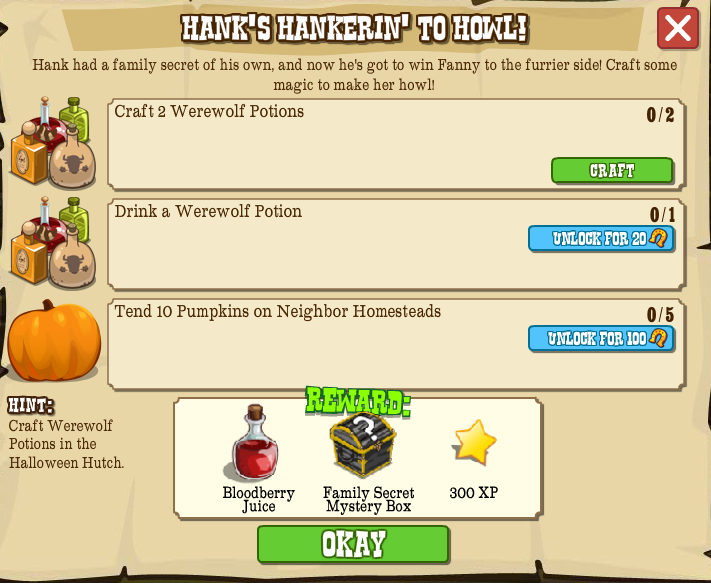 7) Reopen Mission Window from the Hutch and select "Replay Missions"
8) Complete Chronicle of a Vampire and Hank's Hankerin' To Howl again. 9) Repeat steps 7 and 8. 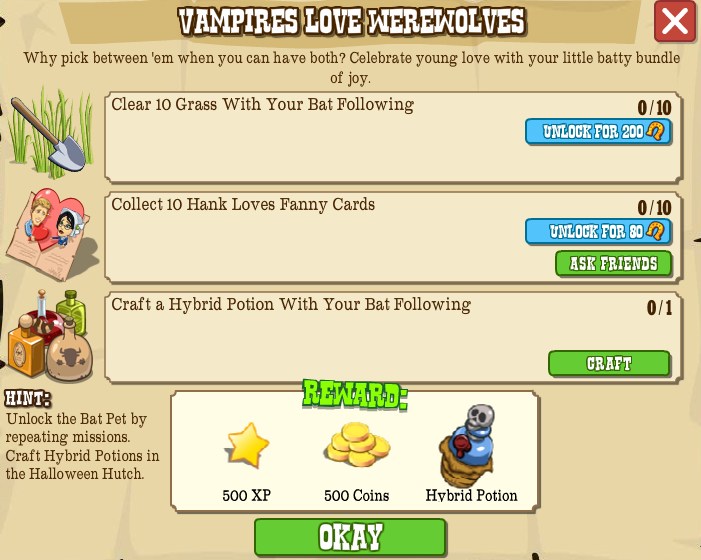 10) Find Pet Bat in inventory. 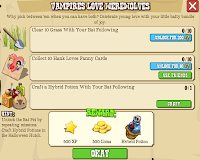 11) Complete the mission Vampires Love Werewolves. If you update your computer to Flash Player 11 it can cause problems in Frontierville, specifically with vanishing buildings etc. Until reasons are discovered as to why this is happening there IS a temporary fix. First, download one of these files and install, this is an old version of a WORKING Flash Player. This should hopefully fix Flash in all browsers except Chrome. To fix Chome follow these instructions but DISABLE THE NEWER VERSION! Yes, the NEWER version (ill end in 63). That is a proven way of fixing the issue until a better, permanent, solution is found.